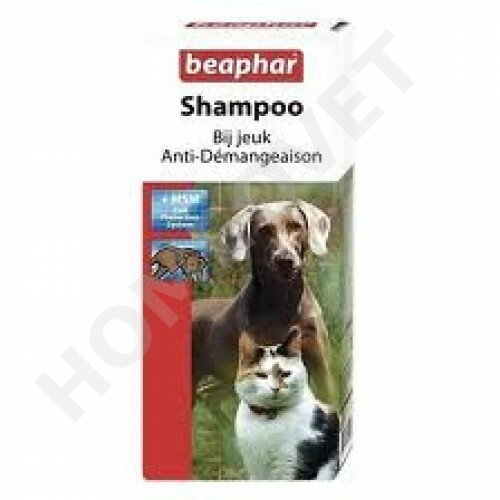 Anti-Itch Shampoo is specially formulated for dogs and cats with skin disorders caused by allergy, ezcema or insect bites. Aloe Vera hydrates the skin leaving it soft and supple. The lemon grass oil and menthol give a fresh shiny coat. Anti-Itch Shampoo has a natural pH to match that of dogs' and cats' skin. This shampoo contains MSM (Methyl Sulphonyl Methane) a natural hypo allergen sulphur which can be found in dairy products vegetables and fruit. It strengthens the hair-root and makes the coat soft and shiny. The shampoo is dermatologically tested and pH – neutral. Pet Head Dry Clean Waterless Shampoo.